Some of the best installation work can make you believe, even for a split second, that you have entered another world, or a place totally alien or unfamiliar. 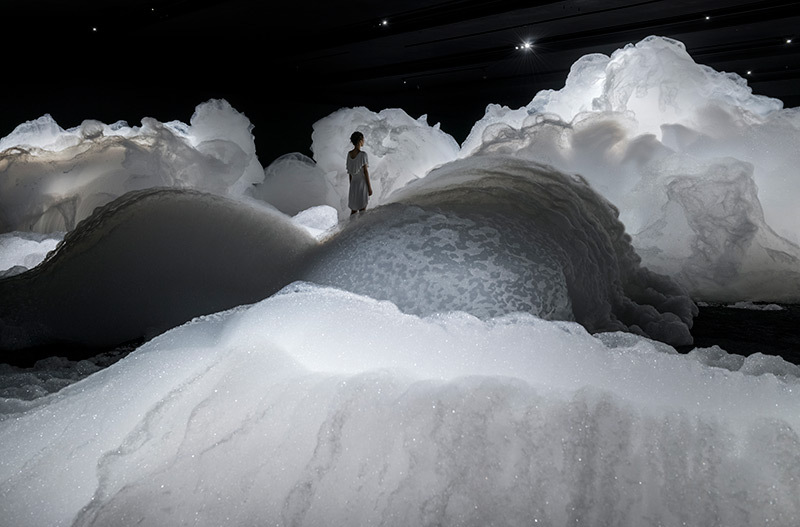 Artists have made naturally occurring phenomena like clouds appear in a gallery setting using a handful of tactics, but this work by Kohei Nawa uses foam to achieve it’s cloud-like effervescence. 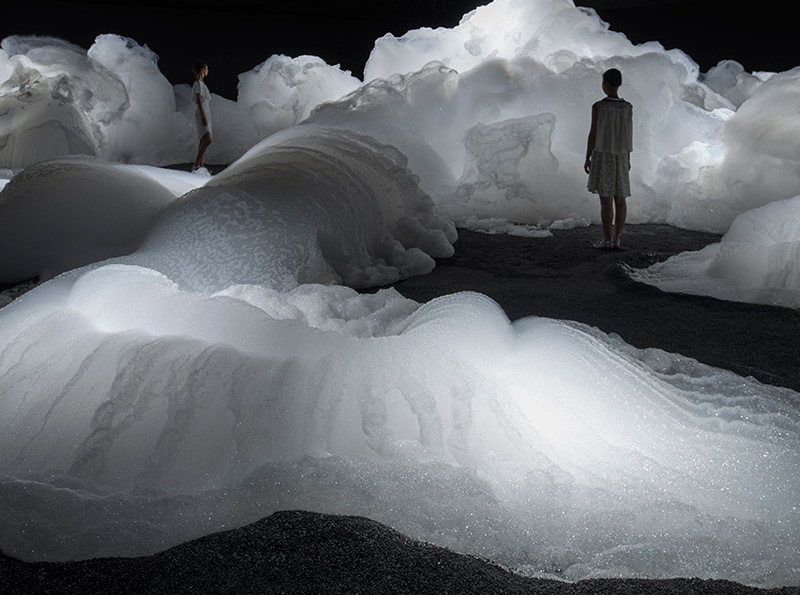 The installation reads like a greyscale landscape of primordial ooze, with mountain-like ridges and valleys suspended on a layer of black sand. It’s lit in such a way that some portions of the foam take on the appearance of clouds, while some remain ambiguous, melting blobs. 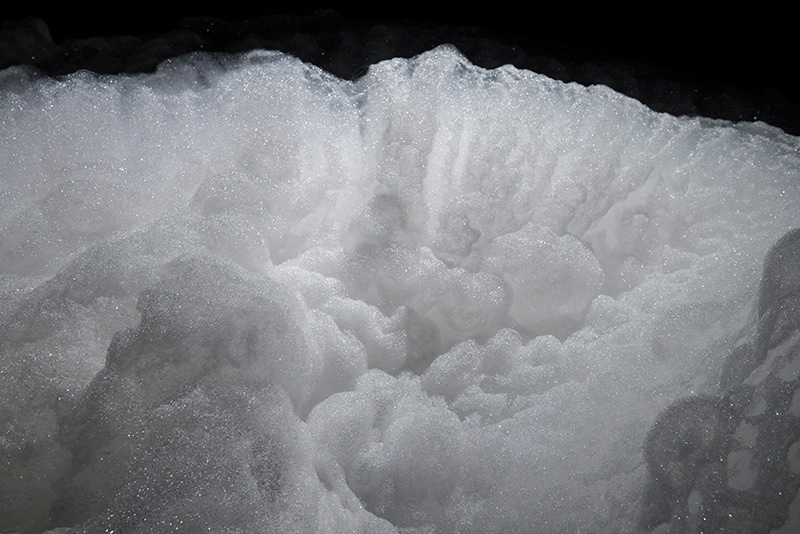 All Images: Foam, 2013. Mixed media. Photo by Nobutada Omote, courtesy of SANDWICH.